If you are searching for insulation removal and replacement our team is here to help! We offer professional insulation removal and replacement services to the entire Phoenix area including: Tempe, Mesa, Chandler, Glendale, Peoria and more. We remove blown-in insulation, fiberglass insulation, spray foam insulation, attic insulation, wall insulation, or any other type of insulation that isn’t performing or has been damaged. We remove old, worn, damaged, or settled insulation that’s no longer effective. Damaged insulation that’s full of mold or ruined by pests can lead to severely decreased performance and affect your indoor air quality. Allow our team to remove your old insulation and upgrade your home with new replacement insulation today! 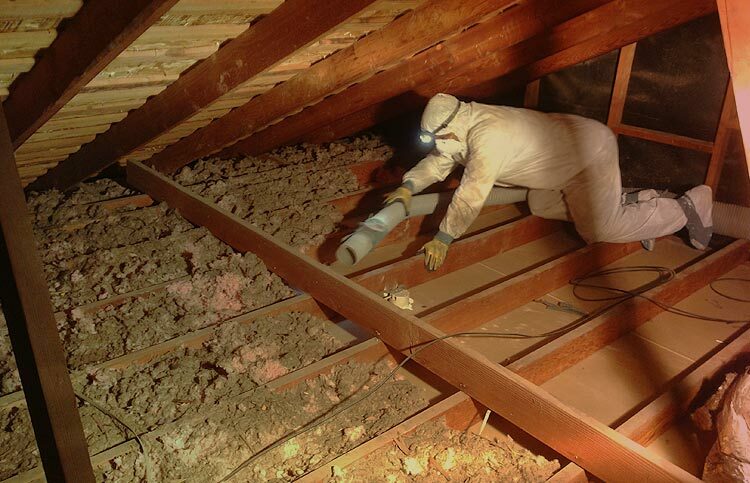 Common searches that find our insulation removal services include: attic insulation removal, insulation removal near me, attic insulation removal companies near me, attic insulation removal and replacement near me, blown in insulation removal, and insulation removal Phoenix. Spray foam insulation is one of the most durable and highly effective insulators but if it has been damaged or wasn’t applied right in the first place we can remove it. Gaps or voids in spray in insulation ruins its effect and it should be removed and redone. Older versions of radiant barrier are not as effective as today and dust can ruin its efficiency. If you’ve got old radiant barrier foil that’s covered in dust, torn, or simply ruined our team can remove old radiant barrier and help improve your homes thermal efficiency. Fiberglass insulation removal takes out old fiberglass batts or blown in fiberglass insulation from your home. Generally installed in the attic our team gets the job done quickly. Get rid of settled, water damaged, or pest infested fiberglass insulation. Blown in insulation removal gets rid of old moldy or ineffective blown in insulation. If you’ve got old rock wool, cellulose, or other blown in insulation and it’s damaged or not doing the job; allow our team to come and remove your old insulation for you. Attic insulation removal is one of the most common places homeowners need. While exterior walls need to have quality insulation the attic is the primary barrier from heat in your home during the summer. If you have old blown in insulation, fiberglass insulation, damaged, or old insulation it needs to be removed and replaced. We will professionally and carefully remove your old attic insulation and offer you today’s best attic insulation options. From the high performance spray foam insulation option to radiant barriers and cellulose insulation we will find the best fit for your needs and budget. Do I Need Insulation Removal? 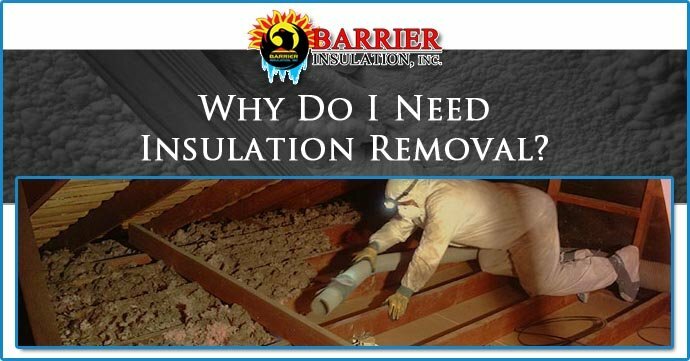 Barrier Insulation offers insulation removal in Phoenix, the greater Phoenix community, and throughout AZ. There are various reasons that homeowners and businesses end up having insulation removal in Phoenix. The primary reason it must be done, is to maintain the air quality in the buildings and homes that we spend our time in. This job requires handling moldy or contaminated insulation materials and is a job for professionals with the proper safety equipment and disposal methods. As this can be a physically demanding and dirty job, our Insulation Experts have years of experience removing and re-installing insulation. We have serviced thousands of residential/commercial properties and take great pride in our work. 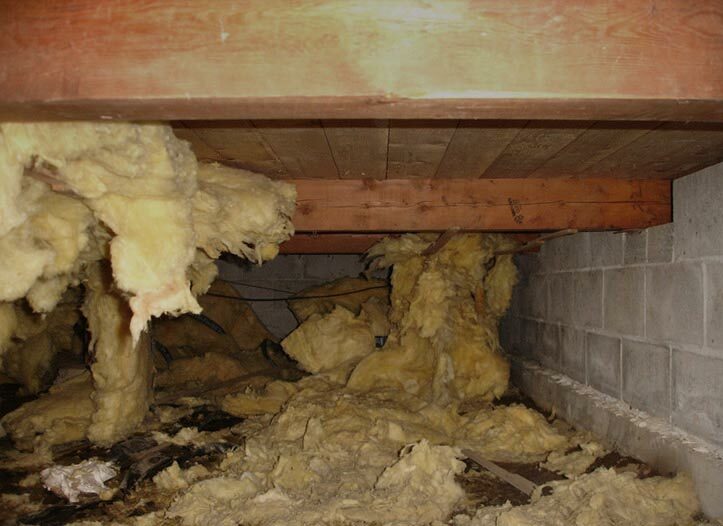 There are various reasons that you’d need to remove insulation from your home or business. Here’s a list of common problems that necessitates insulation removal in Arizona. Given the extreme heat we experience here in Phoenix, our roofing and insulation materials are put to the test. Given time, the materials wear down and aren’t as effective as they once were. Broken down insulation needs to be first removed and then replaced. There are times, due to different reasons, that the structure of the building itself might begin to sag or entirely collapse. Clearly, in this situation, the insulation needs to be removed and replaced. If you’ve had a fire in your home, the smoke from it can go into your attic and permeate your insulation with that terrible smoky odor. No one needs a reminder of such a traumatic event. If you’ve got old insulation or just a less effective insulation type, it can be removed and a more energy saving modern insulation solution can be installed in your attic and walls. Another risk is the possibility of animal infestation. Things like rats, mice, birds and even raccoons can find their way into attics. In addition to chewing wires, they leave their excrement and urine in the attic and in the insulation. Leaving insulation that has been contaminated with either mold or excrement/urine can cause respiratory and other serious problems. We safely and completely remove this ruined insulation to make way for improved indoor air quality, new effective insulation in your home. If your roof has been damaged by a storm, or a branch has fallen on it, water can be getting in. When that water sits on your insulation it causes mold. If that mold is left unattended it causes air quality problems and can cause serious health problems. Stachybotrys is a type of mold that can exist in attics and on insulation. This mold is very common according to the CDC and can cause a variety of conditions, from mild eye and lung irritation to more serious conditions like fever and shortness of breath. How Much Does Attic Insulation Removal Cost? The average cost of attic insulation removal is $2,500. The cost range for attic insulation removal is around $1,000 while larger or more involved jobs with extra personal safety protection can cost $4,000 or more. The cost for insulation removal depends on how big an attic you have and how much insulation is installed. Call us to receive a quote for insulation removal in your attic or home in the Phoenix Valley. The first step is finding out how much insulation removal will cost is to see if you have any asbestos in your attic or home. Professionals can test your insulation to check for asbestos or vermiculite, which almost always has some level of asbestos. Asbestos is a highly dangerous insulation type that was installed in homes built in the 1970’s. It will cost more to remove your insulation if you have asbestos but it will ensure that your home is safer and won’t cause health problems. Do I Need Insulation Replacement? Yes, you need insulation replacement if your insulation is under-performing, your home gets cold quick in the winter time, or if your home heats up really quickly in the summer time. Homeowners need insulation to replace insulation to keep heating and cooling costs down. Common reasons insulation needs to be replaced include: water damage, pest infestations, or when you’ve had roofing repair or work in your attic. There are a lot of types of work that go on in your attic from electricians and satellite companies to your plumbing or other contractors. In some cases it’s best to have the insulation removed for more involved repairs or remodeling. In any case work in your attic can damage your insulation prompting it to be removed and replaced. This keeps your home more comfortable without using too much energy and running up your bills. Why Can’t New Insulation Just Go Over the Old Insulation? There are times when we can add to your existing insulation, especially if you have a newer home. But attics aren’t known as a place that many homeowners spend much time dusting, mopping or keeping clean. Leaving old layers of insulation, regardless of their type leaves all those years of dust, animal droppings and mold in your home. If you just keep leaving layers and adding more you’re making a recipe for disaster. With the insulation temporarily out of the way, your attic is exposed and can be worked on and improved. This is a perfect time to have your ducts sealed; your attic itself may have areas that need to be sealed, for instance around ventilation devices going to exterior and if you have had an infestation or a mold issue, a Bleach Treatment is absolutely necessary. If you need insulation removal and replacement services in Phoenix to get rid of old, damaged, settled, or simply ineffective insulation; Barrier Insulation can help! We will professionally remove the outdated insulation from your home or business to make way for new insulation that will perform better and keep your space more comfortable while saving you on your heating and AC costs!